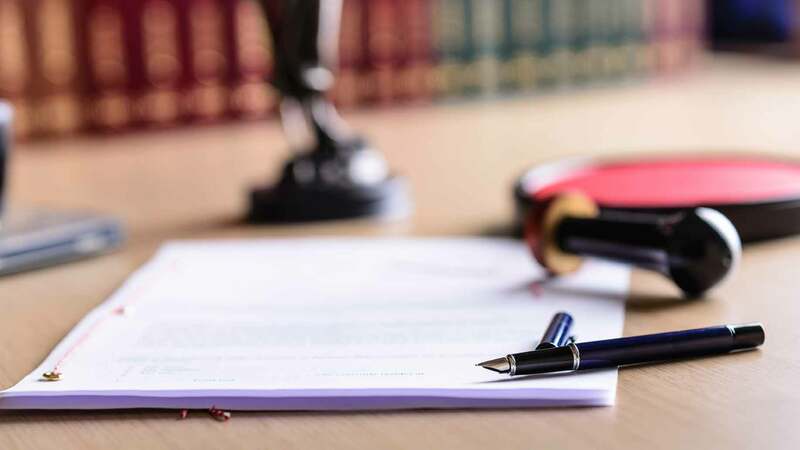 A power of attorney, often abbreviated as POA, is a document allowing capable adults to name someone to serve as their representative, or allow others to enter into agreements on their behalf. Because the future is never certain, and an unexpected emergency that robs you of your ability to make choices can happen at any time, this legal tool is something every adult – no matter age, circumstances, or needs – should utilize. As legal documents, all powers of attorney must meet state-specific legal standards to be effective. Though these standards differ slightly between states, they generally require that you make your power of attorney in writing, name who you want to serve as your representative, name the powers you want your representative to have, and sign the document. Otherwise, you are free to customize your POA to suit your needs or wishes. That said, you should consult a lawyer to ensure you follow state law when creating a POA, and that it accurately reflects your wishes. Because they are so flexible, powers of attorney are among the most useful legal documents you can create. Are you in the military and need to make sure your spouse can manage your finances while you are deployed? Do you want to buy or sell property but cannot (or do not wish to) appear in person to make the transaction? Are you worried about what might happen to you or your family should you land in the hospital? Are you a parent who wants to take a vacation and leave your children under the care of grandparents while you are gone? You can use powers of attorney to address all of these concerns and more. Through a power of attorney, you (the principal) can give others (your agents) the legal authority to make decisions for you or represent your interests. People who create a power of attorney are known as principals. You can be a principal as long as you meet two basic requirements: You are an adult, and you are of sound mind. The adult requirement is typically easy to meet, but the sound mind requirement can be problematic. To be of sound mind you must be able to understand your choices, as well as understand the consequences of making any particular choice. Many adults are of sound mind for most of their lives, and some never lose mental capacity. But others (such as people with significant cognitive disabilities or those who suffer from medical conditions that affect their cognitive abilities) either never have the requisite capacity or lose it. Regardless of the cause, if a person is determined not of sound mind by a court of law (even long after the original drafting of the document), that person cannot become a principal and cannot create a power of attorney document (or the existing document is not a valid POA). The representatives you choose to make decisions on your behalf are known as “agents,” or “attorneys-in-fact.” Like principals, agents have to be capable adults, and must be willing to take on the role as your representative. An agent can also be an organization, such as a law firm or a bank. One of the most confusing aspects of a power of attorney is the terminology surrounding it. 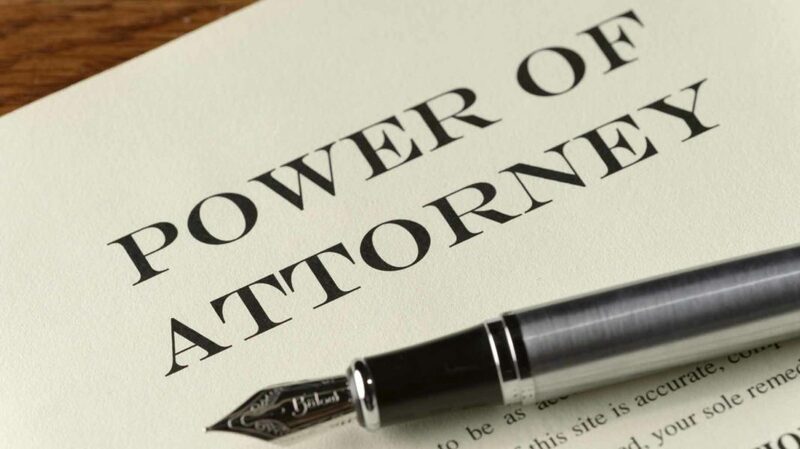 When many people hear the phrase “power of attorney,” they naturally assume that it has something to do with lawyers. Similarly, the term “attorney-in-fact” sounds as though it involves a lawyer, or perhaps requires you to hire an attorney to serve as your agent. As a legal document, a power of attorney is subject to specific laws, requirements, and legal interpretations. Therefore, to create an effective power of attorney, you may need to consult an experienced lawyer to ensure that it both complies with laws and meets your needs. While you are under no legal obligation to hire an attorney to create your POA, a poorly drafted document may be disregarded, creating more problems than it solves. In general, you are not required to register or file a power of attorney with a government office in order for it to be effective. For example, if you create a limited power of attorney to give your agent the ability to pay your bills while you are on vacation, you don’t need to deliver the document to a local courthouse or other government facility. The POA document is effective as long as it complies with relevant state laws. A key exception to this requirement is when you authorize your agent to buy or sell real estate on your behalf. States typically require that you have to register any power of attorney authorizing an agent to transfer real property, and must typically do so with the county government office (such as a county recorder’s office or register of deeds) where the property being transferred is located. When you create a power of attorney you choose between a variety of types and options. Different types of POA are better suited for some purposes than others, and using multiple POAs, each for a different purpose, is common. There are several ways to differentiate between the different types of power of attorney, such as the scope of the power given, what kinds of powers an agent has, when they take effect, and when they terminate. How Much Authority Are You Giving Your Agent? General. A general power of attorney is the broadest type available. When you create a general power of attorney you grant your agent the ability to make all of the decisions you can make. General powers of attorney are best used in situations where you need someone else to take care of all your affairs for you, such as when you are traveling and need your financial and personal affairs managed at home, or in the event you become incapacitated and need someone to protect your interests when you cannot. Limited. Any power of attorney that does not grant your agent general powers is a limited power of attorney. A limited power of attorney, also called a “special POA,” can be limited to a single type of decision (such as granting a real estate agent the right to sell your home), or it can include numerous specific powers. Limited POAs can also limit when your agent can make decisions. As a principal, you can limit your agent’s decision-making abilities as much or as little as you like. Can Your Agent Act After You’ve Been Incapacitated? Beyond limited and general POAs, you can also differentiate between POAs based on whether your agent can continue to act on your behalf after you lose mental capacity. Durable. A durable POA means that your agent can continue to represent you if you become incapacitated or lose the ability to make your own choices. You cannot revoke a durable POA while you are incapacitated. Non-durable. Non-durable powers terminate once you lose capacity. For example, if you give your real estate agent the right to sell your house through a non-durable power of attorney, your agent will go out and try to find a buyer. However, if you are involved in a car accident and become comatose, your agent’s ability to sell your house is terminated. When Does the POA Take Effect? How soon can your agent begin acting on your behalf when you create a POA? Regardless of whether the POA is limited, general, or durable, the document must state when the agent’s authority takes effect. Immediate/Standing. Sometimes you want your agent to begin acting for you as soon as possible. Immediate powers of attorney, also known as standing powers, take effect as soon as you create them. Springing. A springing power of attorney only takes effect if certain conditions are met. For example, you might create a springing durable power of attorney for finances that only takes effect if you become incapacitated. As long as you remain capable, your agent has no power to make financial decisions for you or manage your financial affairs. But, should you lose capacity, the springing power of attorney gives your agent the ability to step in and take over managing your financial affairs. What Kinds of Decisions Can Your Agent Make? Financial. A POA for finances gives your agent the ability to manage some or all of your financial affairs. For example, POAs for finances can give an agent the right to use the money in your checking account, buy and sell stock on your behalf, or file or pay your taxes. Healthcare. A POA for healthcare – also known as a healthcare proxy or advance directive – gives your agent the right to make medical decisions for you. Powers of attorney for healthcare are typically durable powers, as they are designed to allow your agent to talk to your doctors and make medical decisions for you when you’re incapacitated. Childcare. A POA for childcare gives your agent the right to make parental or guardianship decisions on your behalf. For example, if you are taking a vacation and want to leave your children in the care of their grandparents, you can use a POA for childcare to give the grandparents the right to make parenting choices, such as educational or emergency medical decisions, while you are gone. Even though powers of attorney are useful, flexible, and powerful legal tools, many people are reluctant to create them. After all, if you give an agent the ability to make decisions for you or use your property and money, you’re giving that person a great amount of control and influence over your life. What if something goes wrong? What if your agent is unscrupulous? These concerns are not insignificant, and you need to be aware of the potential risks – and protections against those risks – before you create a POA. One of the major concerns people have when they think about creating a POA is the possibility that their agents will take advantage of them. After all, if your agent misuses his or her authority (or simply fails to act appropriately), your interests could suffer serious harm. Though there are occasions when agents under a POA abuse their position, they are less common than most people believe, and the concern that such a misuse of authority could happen to you should not stop you from creating a power of attorney of your own. When you create a power of attorney and choose an agent, you create a principal-agent relationship that imposes on the agent a heightened legal obligation, known as a fiduciary duty. Under the fiduciary duty, your agent has a responsibility to act to protect your interests. For example, if you grant your agent the ability to manage your finances, pay your bills, or take care of your property while you are incapacitated, the agent cannot simply start using your property in any way he or she wants – the agent must act responsibly to protect you. If you name an agent who in turn violates fiduciary duty, he or she can be held personally liable for any damages or harm that result – meaning, you can sue the agent (and in extreme situations, the state may charge the agent with a crime). If you are incapable of suing the agent, someone else, such as a friend or relative, can go to court to request that the agent be stripped of his or her authority so that another agent can be appointed to protect you. Such a person can even sue the agent on your behalf. Not only that, but in some extreme situations where an agent abuses authority and violates fiduciary duty, the state can charge the agent with a crime. Another common concern many people have about powers of attorney is the idea of losing or transferring your decision-making rights. If you create a power of attorney and give your agent decision-making authority, it does not take away your rights to make your own choices – as long as you are a mentally capable person, you retain your decision-making rights, even if you create a POA. You can change your mind, fire the agent, or instruct the agent on how to act as long as you remain mentally competent. While you can delegate your decision-making abilities to your agent, delegating is not the same as relegating or relinquishing. Only a court can take away your decision-making abilities. To do so, the court must determine that you are no longer capable of making choices on your own. If the court makes that determination, it will appoint someone else (a guardian, conservator, or both) to make decisions for you. After that, if you want to regain your decision-making rights, you’ll have to ask the court to find that you are once again capable. Generally, you can give your agent the ability to make any decisions you could make. However, there are some decisions your agent is never authorized to make, even if you create a general power of attorney that gives your agent as much decision-making authority as legally possible. Proxy marriages are only allowed in a small number of states, including California, Colorado, Texas, and Wyoming, and can come with significant restrictions. For example, California only allows proxy marriages when one spouse is a member of the armed forces, is stationed overseas during a time of conflict or war, and is unable to physically attend the marriage ceremony because of the deployment. In such a case, the would-be spouse can use a power of attorney to get married, and the agent named in the POA can serve as the stand-in and agree to enter into the marriage on behalf of the principal. When you create a power of attorney, you cannot delegate your voting rights to your agent. Even if you give your agent all your decision-making abilities, your agent cannot vote for you in any political election in which you are eligible to vote. However, if you are a corporate shareholder or own stock in a company, you can authorize your agent to vote in any shareholder or corporate elections on your behalf. Your agents cannot create, modify, revoke, or amend your last will and testament. However, if you are not physically capable of making a will, but retain your cognitive abilities, you can direct an agent to draft a will at your direction, and can even have the agent physically sign the document on your behalf. In some states, agents are prevented from making specific types of decisions unless the power of attorney document explicitly allows them to do so. These are sometimes known as “hot” powers, and must be specifically addressed in the power of attorney. For example, in Colorado, your agent under a power of attorney is not allowed to revoke, modify, or create a trust on your behalf unless you explicitly provide this power. Other hot powers can include the right to make gifts of your property, the right to select a beneficiary for any transfer-on-death asset, and the ability to delegate the agent’s authority under the POA to another agent. When it comes to what agents are not allowed to do, some issues are less clear than others. For example, federal bankruptcy courts are split on whether they allow agents to file bankruptcy petitions for their principals. If you ever have a question about what your agent is or is not allowed to do, talk to a lawyer. All powers of attorney come to an end, but they can do so in different ways. The termination of an agent’s authority under a power of attorney sometimes happens by choice, and sometimes because of specific circumstances. When you create a power of attorney, you retain the ability to terminate your agent’s authority at any time as long as you remain mentally capable. The terms in the power of attorney document spell out what you have to do to fire your agent, but communicating your decision through writing is common. Verbally terminating an agent is also often suitable, as long as you follow up with written notice. Furthermore, many principal-agent relationships, such as those between a home buyer and a real estate agent, are based on contractual agreements. Such contracts typically place limits on your ability to terminate the agent’s authority. Agents can also end the power of attorney relationship, but are usually not as free to do so as principals. When an agent decides to withdraw or quit, the agent has a duty to do so in a way that does not harm the principal’s interests, because the agent is still a fiduciary. So, if you are an agent, you must notify the appropriate people when you decide to withdraw. This typically requires that you notify the principal of your intent to withdraw, and may also require that you notify any successor agent of your withdrawal so the successor can take over your duties. If the principal is incapacitated and has a guardian or caregiver, you will have to notify that person as well of any successor agent. Some powers of attorney have a time limit. For example, if you hire a real estate agent to find a home for you, you agree to allow the agent to be your sole representative for a period of time – six months is common. If the six months go by and the agent fails to find the home, the agent’s authority to represent you terminates automatically. A power of attorney can terminate because the purpose for its existence have been achieved. Using the real estate agent example, if your agent finds a home for you a month after you enter into the agreement, the agent’s powers terminate because he or she has satisfied the purpose of the agreement. When a principal names an agent under a non-durable power of attorney, the principal’s incapacitation results in the termination of the agent’s authority. An agent is generally allowed to continue to act on your behalf in a non-durable agreement until he or she learns of your incapacitation. After learning that you have been incapacitated, the agent can no longer make choices for you. However, if you created a durable power of attorney, your agent can continue to represent you. When the principal dies, the agent’s authority to represent the principal automatically comes to an end. Like with incapacitation in the case of non-durable power of attorney, agents can still represent you until they learn of your death. If you want someone to manage your estate’s finances after you’ve died, you must make a last will and testament that names an executor, or create a revocable living trust that names a successor trustee. Beyond the questions of choosing an agent, deciding which powers to grant your agent, and ensuring that your POA complies with state laws, there are other issues you should be aware of (again, talking to a lawyer is essential). Powers of attorney commonly include the name of one or more people as successor agents, and less commonly as co-agents. While these terms may sound similar, there are significant differences between the two types. Successor Agents. A successor agent is someone who takes over as agent if and when the current agent stops serving or is no longer capable of serving. For example, let’s say you create a durable power of attorney for healthcare and name your spouse as your agent, with your brother as your successor agent. You and your wife are involved in a car accident and both lose capacity. In this situation, your brother would become your agent because your wife is unable to serve. Similarly, if your wife had become your agent but decided she no longer wanted to serve, your brother would take over agent responsibilities. Co-agents. Co-agents are two or more people who serve as agents simultaneously. Co-agents typically have to act together, and must agree to any actions taken on behalf of the principal. For example, if you named your spouse and your brother as your co-agents in your healthcare power of attorney, both would have to agree about any medical treatment before your doctors could provide it. Many POA situations require your agent to act on your behalf when dealing with a third party. 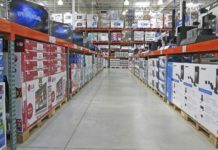 In many of these situations, the third party might require the POA to meet standards that aren’t imposed by state law. For example, if you create a POA that allows your brother to manage your finances if you become incapacitated, he might have to talk to a third party, such as your bank or creditors, on your behalf. The bank might require that any power of attorney be no older than a year or two. If it is older, the bank might refuse to recognize your agent’s authority, even though the document complies with all relevant state laws. In such situations, your agent can ask a court to force a third party to recognize the POA’s authority. However, it’s often easier to take action beforehand by, for example, asking any third parties if they have policies about POA use, and drafting POAs that comply. Powers of attorney are useful and flexible, but they are not catchall devices that serve all your needs or protect all of your interests. For example, a power of attorney cannot control what happens to your estate after you die. Furthermore, your agent under a POA cannot manage your estate because the agent’s authority terminates upon your death. To address these concerns, you have to create an estate plan that includes a last will and testament. Powers of attorney give you the ability to control your life and protect your interests like few other documents. However, they also pose risks and require you to consider a host of vital questions. Powers of attorney can be essential safety nets that protect you and your family in the event something happens to you, or can be convenient tools that allow you to feel secure in knowing that you’ve delegated your decision-making abilities to people who can help you. Do you have a power of attorney? What are your biggest concerns?